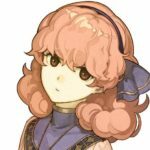 This page summarizes the recommended characters to recruit in Celica's Party in Fire Emblem Echoes: Shadows of Valentia. It consists of characters, their Map location, details, and roles. 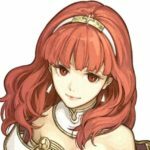 This article summarizes the recommended characters to recruit in Celica’s Party in Fire Emblem Echoes: Shadows of Valentia. It consists of characters, their Map location, details, and roles. Please follow this link to view the Recommended Characters to recruit in Alm’s Party. One of the game’s protagonists, it is crucial to raise Celica in order to avoid being defeated in battle. A highlight of Celica is her ability to wield both offenses with Sword and Magic. With Seraphim learned early in the game, it is an effective Black magic spell against monsters to be encountered during her scenario. Alongside her respectable growth rate, when armed with the Recover staff, she can support her comrades reliably as a useful character which has access to a variety of options from Black magic to White magic. Since Celica can only Rank Up once to attain her final tier (Class), she must invest in the services of the Holy Well while on her starting Class to fine-tune her stats. In order to recruit Catria, you need to spare her during Act 3’s battle in Zofia Harbor. She belongs to the same Pegasus Knight trio as Palla. Although she is comparable to her in several features, her overall growth rate beats the former. It might seem like a bad choice to recruit her, however even if she joins 3 levels lower than her sibling, some stats are more or less similar. 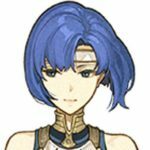 These negligible discrepancies allow her to catch up or even surpass Palla’s as soon as she reaches her level. What sets Pegasus Knights apart from other classes is that they can stay on the wall to ambush their enemies which usually cannot pass to these tiles. This puts them at a huge advantage to whittle down the opposition as they become immobile beside the walls. Another plus is that by changing to the Falcon Knight, your unit will gain additional damage against the “monsters” without weapon requirements. In addition to damage, the unit will also gain a boost in RES which allows them to take on enemies that deal Magic damage. It is relatively safe to recruit Pegasus Knights in this game since most of the enemy Archers carry “Yumi” which are bows that do not deal additional damage to “Flying” units. Although “Flying” units are not without flaws as they are potentially weak to other weapons such as “Steel Bows.” Therefore be wary of the bonus damage done by enemies equipped with them. When you complete the Map Zofia Harbor and spared Palla, you will be able to recruit her to the party. She is another sister who belongs to the Pegasus Knight siblings. Among the three, she excels in High attack due to her having the highest Growth rate of this stat. If you keep her default equipment, “Hand glue,” it makes raising her level easier. 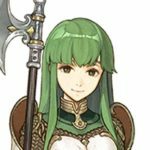 Since her default level is higher than the others, it is easy for Palla to meet the minimum level requirement to change classes. The last of the Pegasus Knight sisters, despite her demure appearance, she should not be overlooked as she sHarbors the highest overall growth rate among all recruitable characters. The only thing that holds her back is her late appearance which makes her slightly difficult to raise. 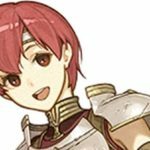 As mentioned above, the units that belong to the Pegasus Knight class are valuable. Thus if you plan on recruiting her and training her well, she becomes a fearsome ally in combat. If you manage to corner enemies using the three sisters, they can perform the powerful Skill “T Attack (Triangle Attack).” However this entails that you have to train all three of them carefully. As a Pegasus Knight she is a high-performing character that can close in on most enemies that are hampered by the terrain. In contrast to the other units mentioned, Genny becomes a companion early in the game. She differentiates from the other characters because she is the lone Sister class in the party. Genny learns Physic during the early stages making her a dedicated supHarbor character. With Physic, she is able to negate distance limitations imposed by “Heal” which provides her a way to patch up even distant allies. The safety granted by this Skill makes the group less vulnerable to defeat even when overwhelmed by enemy reinforcements. Apart from healing, she also acquires Invoke which calls allied Soldiers to join the fray. Although these units cannot be controlled directly, nevertheless they cover your units as allied NPCs. Armed with Invoke, Genny occupies the seat in Celica’s party as she plays a significant role in preventing the enemy from gaining the upper hand in battle.